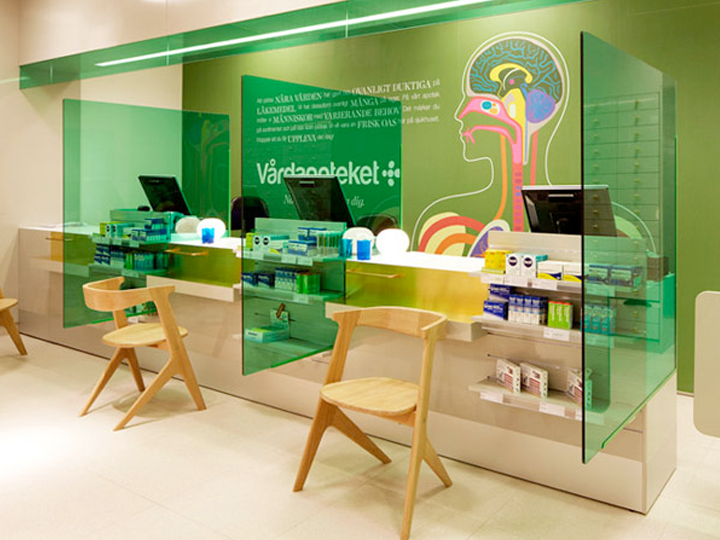 I love this anatomical design scheme created by Swedish designer Kari Modén for Swedish pharmacy chain Vårdapoteket. The rich colors and simplified anatomy are a modern and inspiring solution. These lovely illustrations are used on bags, walls and advertising. Simply gorgeous!